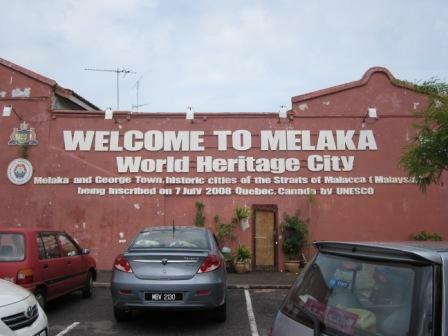 Malacca (also known as Melaka) is a historical state in Malaysia. 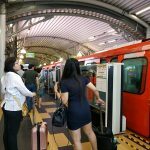 During weekends and public holidays, you can find many outstation visitors- from Singapore, Kuala Lumpur, Johor driving to Malacca on a day trip for food, shopping and appreciate its historical uniqueness. after you go through the toll, just go all the way straight and follow the signboard “Pusat Bandaraya Melaka” or something like that. That means you follow the signboard that leads to the city centre. It is a distance as the Ayer Keroh exit is not immediately near the town. 1. If you plan to enjoy the special nyonya dishes and delicious Malacca food, then don’t eat at the North South highway rest area. Because the food at the rest area is not as nice as compared to Malacca. 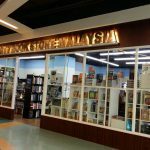 It takes about 2 to 3 hours if you are coming from either Singapore or Kuala Lumpur- have something light to eat and maybe coffee. Then ‘save’ your stomach for the food. The mistake we made is that we stopped and have a heavy breakfast at the Seremban toll (we came from Kuala Lumpur). By the time we reach Malacca town about less than two hours later, our stomachs were still full. 2. 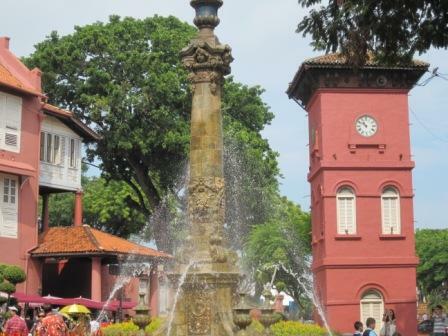 The weather– if it does not rain, Malacca is really hot. I mean, really hot- that if you do not apply sunblock, you will come back with tan or your skin a few shades darker. Have a hat/umbrella and water handy because you would be hot and thirsty. It’s hotter than Penang island, even though both are situated near the sea (Straits of Malacca). 3. Parking: when you arrive at main area (picture above), you need not park at ‘commercialised’ parking bays. One thing is that if you park at specialised parking (like the one in front of St Paul’s church), not only you need to pay, but due to the parking limitation, someone may just block your car or you have to manourve in tight/sharp/small spaces. During the 2 times when I drove down there, I looked for empty roadside parking located around Jonkers street. On weekeneds, parking is free but on weekdays, you need to buy parking coupon and display on your car window (you can look around and buy from the grocery stalls around). Don’t simply park at places that do not have designated bays as you may get a summon. 4. Go on a weekend if you plan to visit Jonkers street during daytime. No doubt, the famous eating places would be swamped with people during weekends. The first time I went to the famous ball chicken rice shop on a Tuesday, there was not much of people. Then recently we went on a Sunday and there were long queues. 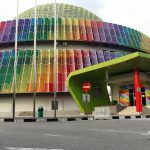 Other than that, if you plan to go for other attactions or staying over the night, you can also go on a weekday- at least the Menara Taming Sari is not so crowded. In subsequent articles, I would talk about different places of interest….